The Global Gender Gap Index reveals that all countries can do more to close their gender gap. Across the Index, there are only seven countries that have closed 80% of the gap or more. In addition, there are 61 countries that have closed between 70% and 80% of their gender gap. A further 67 countries have closed between 60% and 70%, while nine countries have closed between 50% and 60%. In 2017, no country had closed less than 50% of their overall gender gap. However, there is wide variety in progress on closing the gender gap in every world region, with both success stories and underperforming countries in each. Table 5 displays this year’s rankings by regional classification, organized by rank within each regional group. 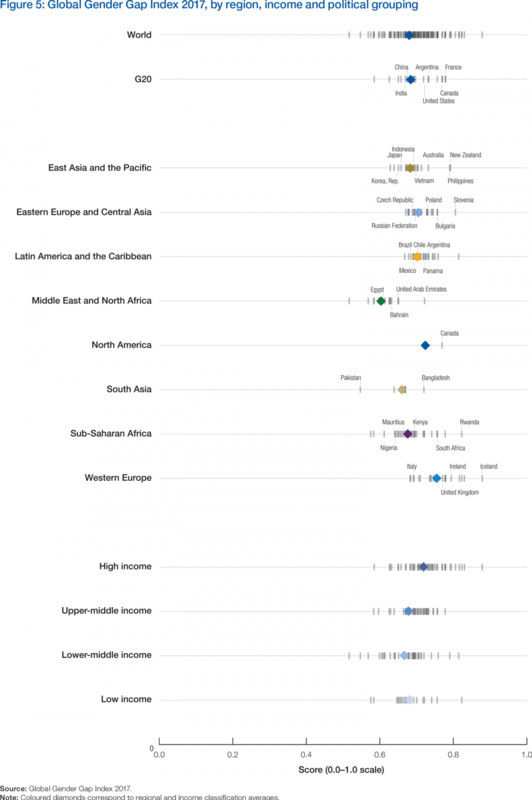 Figure 4 shows the average gap that remains to be closed in each world region. 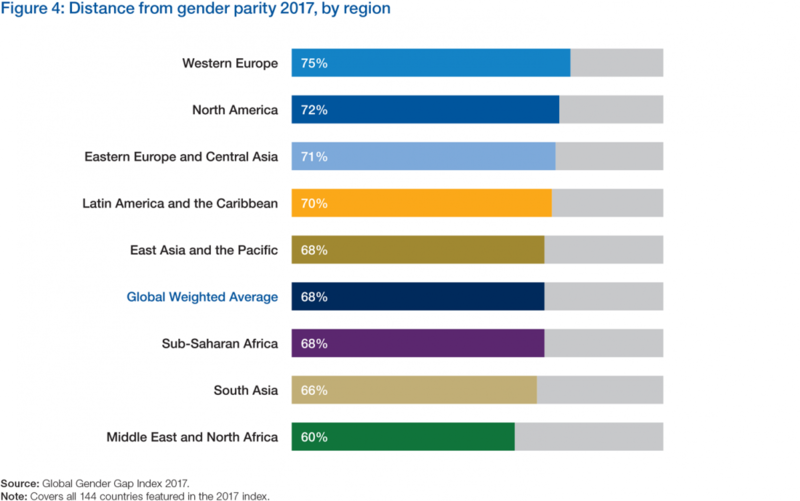 At a global level, in 2017, four regions have a remaining gender gap of less than 30%—and two regions are crossing this threshold for the first time this year. Western Europe records a remaining gender gap of 25%, placing it ahead of North America, with a gap of 28%, Eastern Europe and Central Asia, with a gap of 29%, and Latin America and the Caribbean, with a gap of 29.8%. 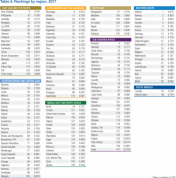 The East Asia and the Pacific region ranks ahead of Sub-Saharan Africa, with a remaining gender gap of 31.7% and 32.4%, respectively, and South Asia, with a gap of 34%. For the first time, the Middle East and North Africa region crosses the threshold of having a remaining gender gap of slightly less than 40%. The reader should note that population-weighted group averages are used throughout the Report. 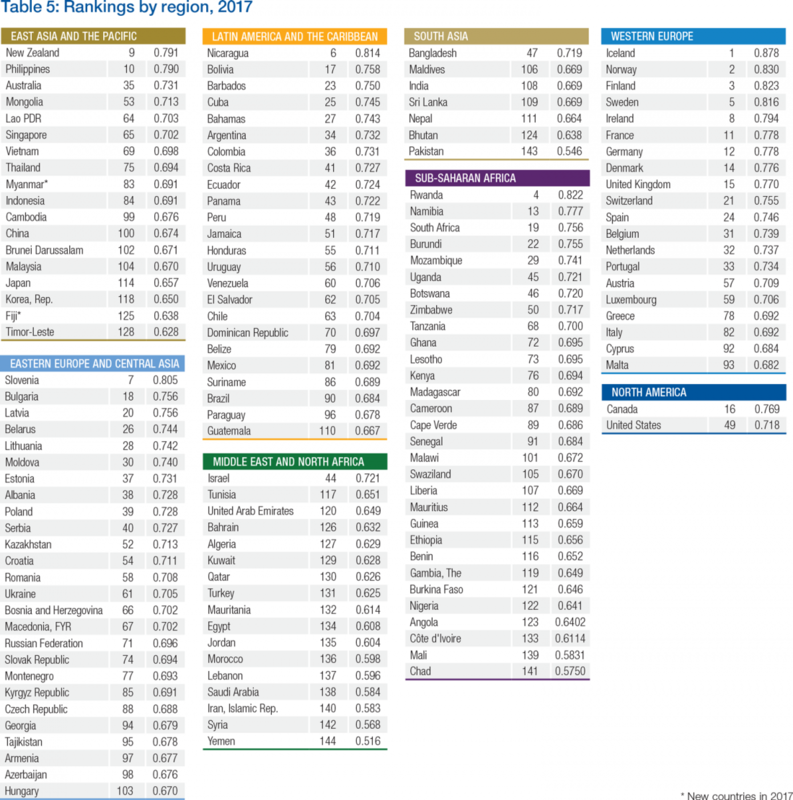 Figure 5 shows the range of country scores on the overall Index for each region. It reveals, for example, that despite its high regional average, there is a broad range of outcomes among the 20 countries covered in the Western Europe region. A similarly wide spread of country performance also exists among the 30 countries covered in the Sub-Saharan Africa region. Here, this diversity of outcomes is frequently driven by different performance on the Educational Attainment subindex. 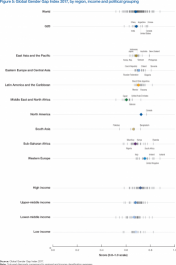 In other regions, the largest diversity of outcomes exists across the Economic Participation and Opportunity and Political Empowerment subindexes, while performance differences across the Educational Attainment and Health and Survival subindexes tend to be comparatively minor. A detailed discussion of regional and country-level results follows below. 12 Women20 (W20) Dialogue Process, Germany, 2017, http://www.w20-germany.org/the-w20/.